I'm trying to create one of my forms as a fillable PDF form, but when I do, the headers do not show up. I understand this, but this only works for forms that are already submitted. I'm interested in having a fillable PDF that shows the headers/text prior to submission. No, that should affect the incoming submissions to. If that doesn't work, you can customize your PDF report. 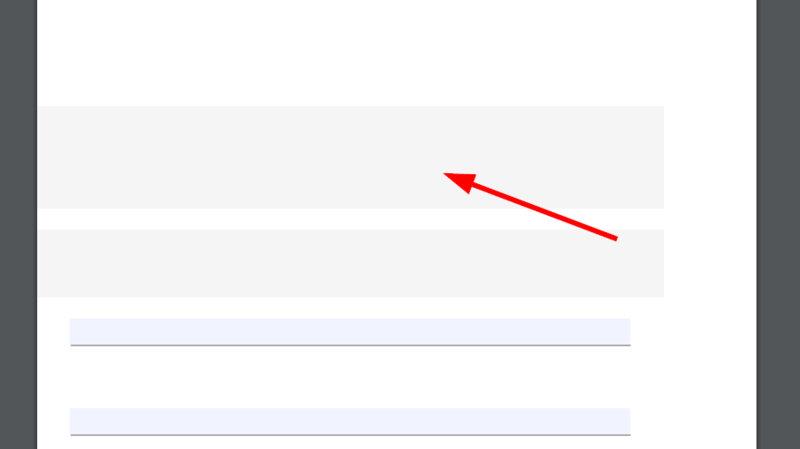 Guide: https://www.jotform.com/help/384-How-to-Customize-PDF-Submissions-Report and add the headers. This should affect all. I can see what you mean. I cloned your form and exported it into fillable PDF and I was able to reproduce the problem. Is this the problem you're referring? However, I could not reproduce the problem when I tried it on my form. 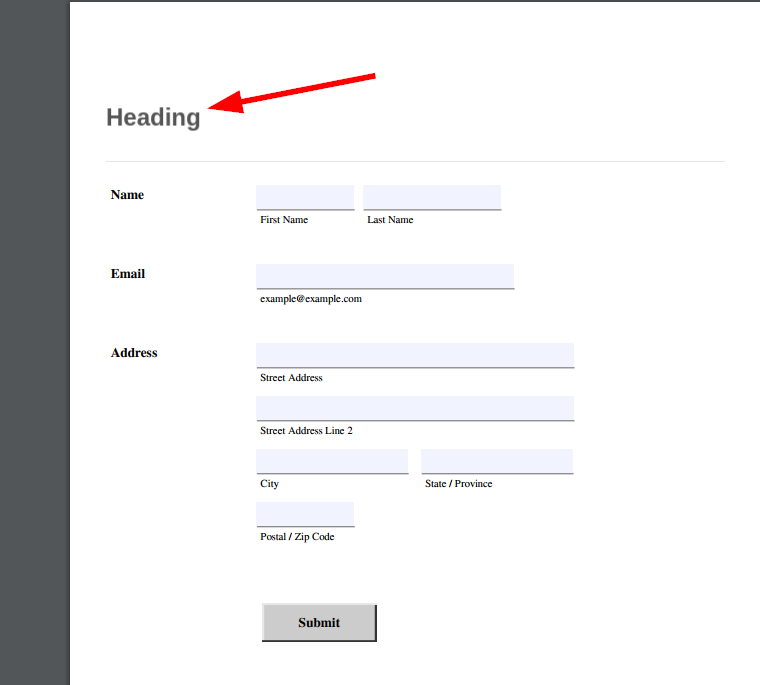 The header field is supported with fillable PDF but not form collapse. So my suggestion is to make a cloned version of your form. Customize the cloned version, remove the form collapse or replace it with a text element. Remove the widgets since they are also not supported. Then export the cloned form into fillable PDF, see if this makes a difference. Check this article to learn more about the fillable PDF and to review some of its FAQs https://www.jotform.com/help/312-JotForm-Fillable-PDF-Creator-with-All-Points#Will-My-Amazing-Widgets-Be-Shown-in-the-Fillable-PDF.